Saving on insurance can be easy – let us show you how! We’ve partnered with Economical Select® to offer group members across Ontario, exclusive savings on car and home insurance. Here’s some news you can wag about. 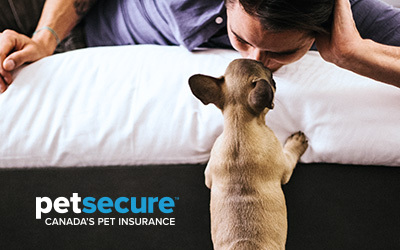 We’ve partnered with Petsecure™, Canada’s largest pet insurance company, and Economical Select® to offer you great coverage for unexpected illnesses and accidents. Even better, group members can use your group advantage® to get a discount when you purchase a policy. Want more details? Just ask us, we’re here to help. Let our customers tell you personally. TechAlliance’s members are privileged to have the exceptional insurance support and guidance from Robertson Hall Insurance. As a provider of valuable home and auto plans and an actively engaged sponsor and member of TechAlliance, we are proud to partner with Robertson Hall Insurance and are truly appreciative of the quality leadership that they continuously provide to our membership community. I switched my home and auto insurance over to Robertson Hall a few years ago and have experienced significant savings and good service since doing so. Since I’ve signed up with Robertson Hall Insurance, I’ve discovered their customer service has exceeded my expectations and believe me, they are high. I also noted that there was a small savings in rates due to the group discount afforded us for being a member of OAPSO. I would highly recommend them as a Broker. I found that working with Robertson Hall was a great experience. They had great value for me in my insurance. I found them professional; very easy and fast to work with. I wanted to say what a pleasure it was to work with the Robertson Hall team in getting my auto insurance. It was done quickly, efficiently and the staff were pleasant to work with. Any concerns or changes I had were addressed and everything was done smoothly. I would certainly recommend Robertson Hall to other Canada Life staff. I changed over to Robertson Hall Insurance Group Plan for the Unifor 27. I found them to be prompt, direct and answered all my questions. To my surprise, they saved me $347.00 on my auto insurance. I am very pleased to now be part of the Group Program at Robertson Hall and glad to be a member of the CAW 27. My previous insurance company made a whole bunch of money off me and did not earn a penny of it. Customer Service right through to the Claims Department. However, speaking with a fellow Property Standards Officer, I learned of Robertson Hall Insurance. I have received excellent service, a savings of approximately $1,000.00 on my vehicle and feel like a valued customer rather than a policy holder. I now recommend Robertson Hall to all my family, friends and colleagues. One of the many benefits of being a RMTAO member is the group home and auto insurance program. I have been using Robertson Hall as my insurance provider since 2013 when I decided to open a massage therapy clinic at home. The transition from my previous insurance company went extremely smooth, thanks to the very friendly and professional staff at Robertson Hall. Not only did they offer me a great rate on the home insurance, with the coverage for my home business, but their rates on car and motorcycle insurance where so competitive that I moved all our vehicles to the group plan. One more thing I want to mention is communication – the staff can always be reached by email and they respond in a very timely manner, so all the questions get answered pretty much right away. All in all I am very glad I have made the move to Robertson Hall Insurance Brokers! What is group car and home insurance? 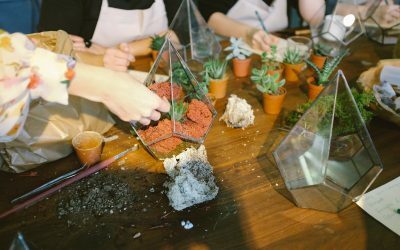 When large numbers of customers band together, great things happen. Thanks to our partnership with Economical Select®, group members like you can enjoy the same comprehensive coverage but with a group discount on your car and home insurance policies. What are the benefits of having a group home and automobile program for our company or association? What are the benefits of a Group Home and Automobile Insurance program to our employees? Does our company or association qualify for a Group Home and Automobile insurance program? That depends on a number of different factors including the number of employees at your company/association and the nature of your business operations. If you are interested in pursuing a Group Home and Automobile insurance program for your company or association please contact our office for further details. Contact us about starting your own Group Insurance Program at your business or association. We’ve partnered with Economical Select®, one of Canada’s most respected insurance providers, to offer group insurance to members like you. That means you get the coverage you need, the support you deserve, and the price that works for your budget. Why should I get a quote now? You won’t believe how much you could save on car and home insurance! We’ll listen to your needs, assess what coverage is best for you, and apply your group discount to any policies you require. But you’ll never know if you don’t ask, so get in touch today.